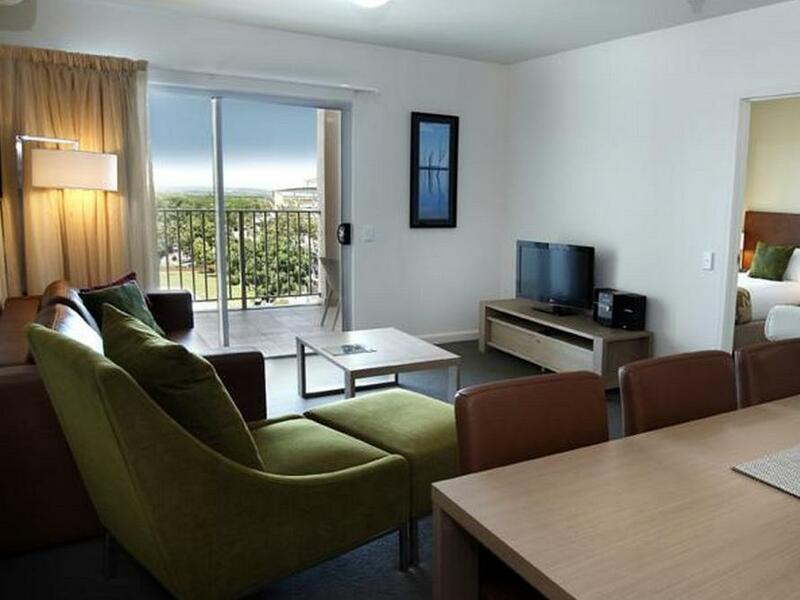 للمسافرين الذين يرغبون أن يعيشو كل ما تقدمه داروين, Quest Palmerston Apartments هو الخيار الأمثل. لا يبعد الفندق كثيراً عن مركز المدينة، فهو يقع على بعد 20 km منها. في حين يستغرق الطريق منها إلى المطار حوالي 15 دقيقة. بالنسبة لمن يريد الخروج، هذه بعض المعالم السياحية المتوفرة للزوار ‪Hidden Valley Motor Sports Complex‬, ‪Strauss Airfield‬, ‪Manton Dam‬. إن الخدمات الممتازة وحسن الضيافة العالي في Quest Palmerston Apartments تجعل إقامتك تجربة لا تنسى. لضمان راحة ضيوفه، يقدم الفندق الخدمات التالية: واي فاي مجاني في جميع الغرف, مكتب الاستقبال على مدار الساعة, مرافق مخصصة لذوي الاحتياجات الخاصة, تخزين الأمتعة, واي فاي في المناطق العامة . بالإضافة لهذا,تتضمن كل غرف الضيوف مجموعة واسعة من وسائل الراحة . بعض الغرف توفر حتى إغلاق, شاي مجاني, قهوة فورية مجانية, تلفزيون بشاشة مسطحة, اتصال لاسلكي بالإنترنت لإرضاء أكثر الضيوف تطلباً. يقدم الفندق مجموعة رائعة من الخدمات كمثل مركز للياقة البدنية, مسار جولف - ضمن 3 كم, حمام سباحة خارجي, سبا, تدليك، لجعل إقامتك تجربة لا تنسى. يشكل Quest Palmerston Apartments بخدماته الراقية وموقعه الممتاز، قاعدة مثالية للاستمتاع بإقامتك في داروين. يُرجى العلم بأن أقل عمر للبالغين هو 18 عامًا. 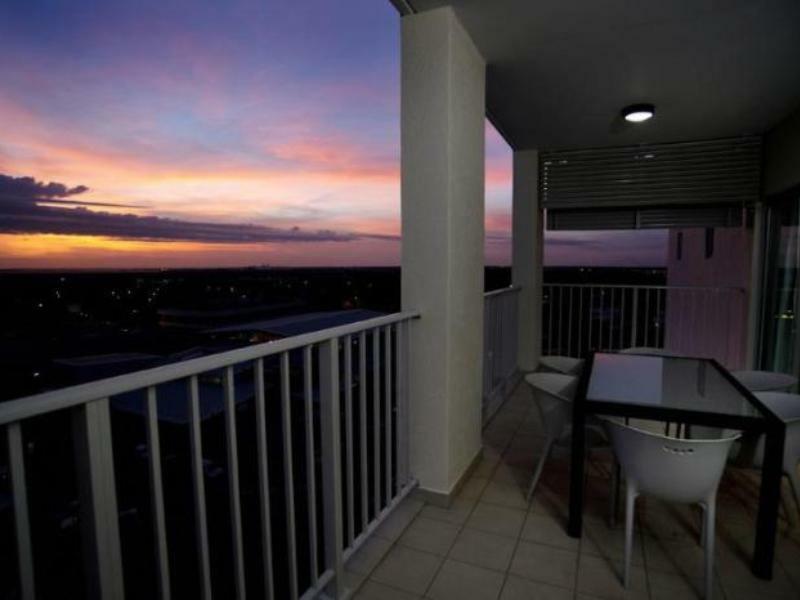 As we were relocating to the NT, Quest apartments was the perfect filler to suss out the area and getting our head around our new surroundings! 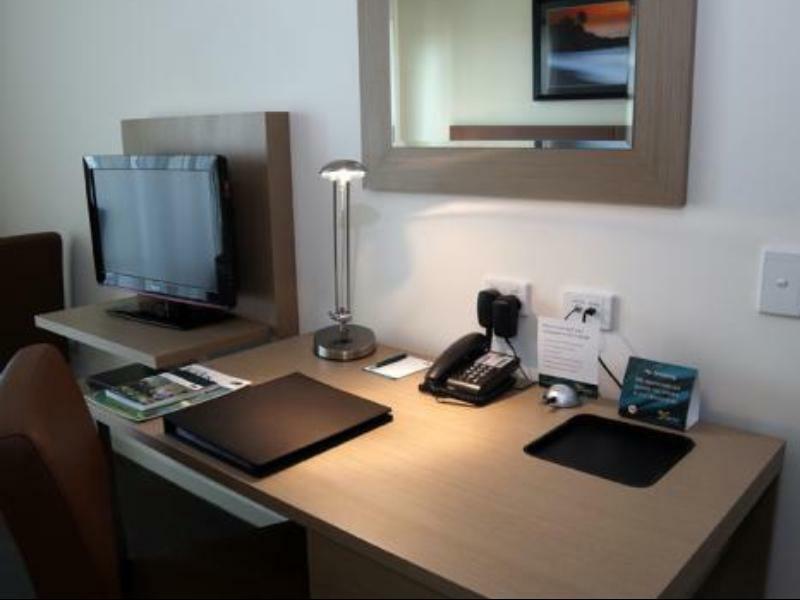 Small kitchenette with everything you need for a simple meal, Comfy bed and only 20 mins to darwin city. 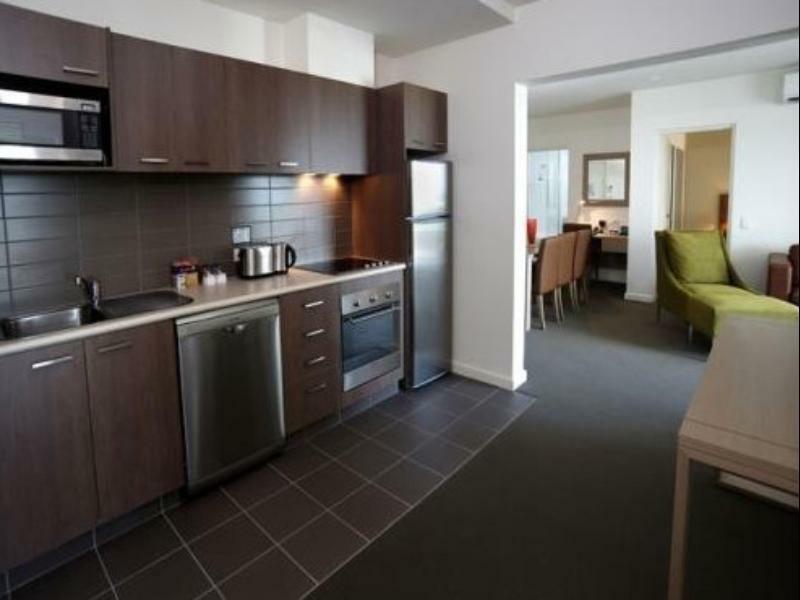 Great serviced apartment set up. Kitchen, air con, washing machine, dryer, dish washer, JVC mini hi fi, LG flat screen, Foxtel oh...and unlimited WiFi with the NBN. Sweet ! Friendly staff, helped me out with getting legal documents printed, witnessed, scanned etc...no fuss. Location - depends what you want. It's easy to get into Darwin city but we had a hire car that we parked in the secure underground car park. That made life simple too. Cost for deal had hidden charges. Parking should be complementary Staff fantastic cleaners especially polite. 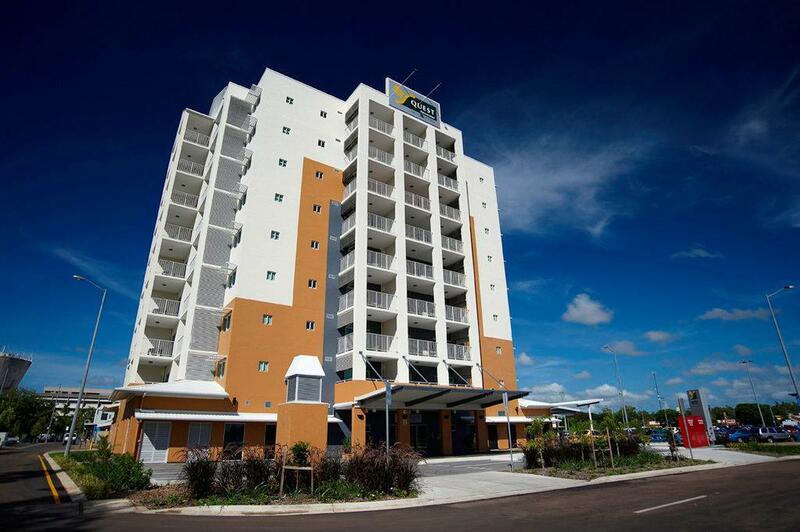 No problem at all with the apartment and all the staff were excellent and very helpful . The location is good for the shopping centre but it is in the middle of a construction site, so there is constant noise. The pool is very cold and for us was unusable. Great for the night market and bus station .If it wasn't for all the building work we would possibly view the position in a different light. Relatively good rooms, the housekeeping and internet service was a let-down. We found everything we needed to make our short stay comfortable. it gave us a chance to have our family over for visits whereas an ordinary hotel room would have been too small. central to everything. friendly staff. Loved our stay. The large airy apartment gave us heaps of room to have our family visit us. It was mums 90th birthday so all the family wanted to see her and the large spacious apartment made it possible. The staff were very helpful in that regard as well by assisting family entry when they come to visit. Room was toddler friendly, very comfortable bed, reception staff were great. Our stay at the quest Palmerston was great, we would highly recommend it to our friends and family. Rooms were clean & comfortable. No restaurant on-site but several within close vicinity.Location convenient if you do not wish to visit the city centre. friendly staff, comfortable rooms. shops within walking distance. we love the 1br apt because it has a full kitchen, the laundry has a washer & dryer. there is a stereo, which you can connect your ipod/iphone to & place to connnect your laptop to. there is a balcony for smokers as well, but beware, it is above hoggs breath cafe & the smell of the steaks cooking will make your mouth water & your tummy grumble. will definitely be staying there again.